Ernest L. Blumenschein was a multitalented artist who they say the mountain called to. 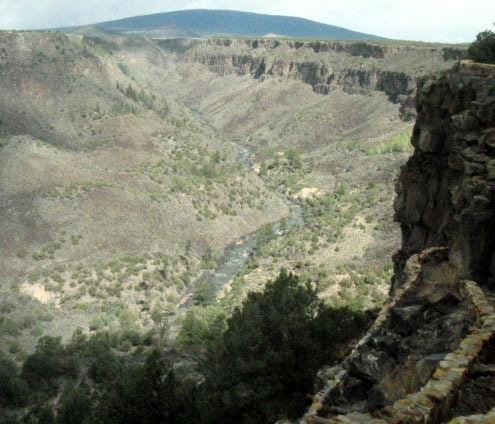 During a painting commission in New Mexico with fellow artist Burt Phillips in 1895 �Blumy�, as he was called by his friends, felt compelled to live and work in the Indian village of Taos. In 1903, while living in Paris Ernest fell in love with Mary Shepherd Green and they were married. 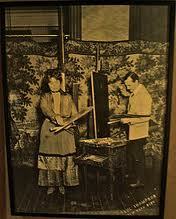 The supported themselves through commissions for American magazines and shared a studio. Their first child Ethan Allen was born on Christmas day 1906, but sadly the infant died two days later. They then returned to New York where Mary later gave birth to their daughter Helen in 1909. 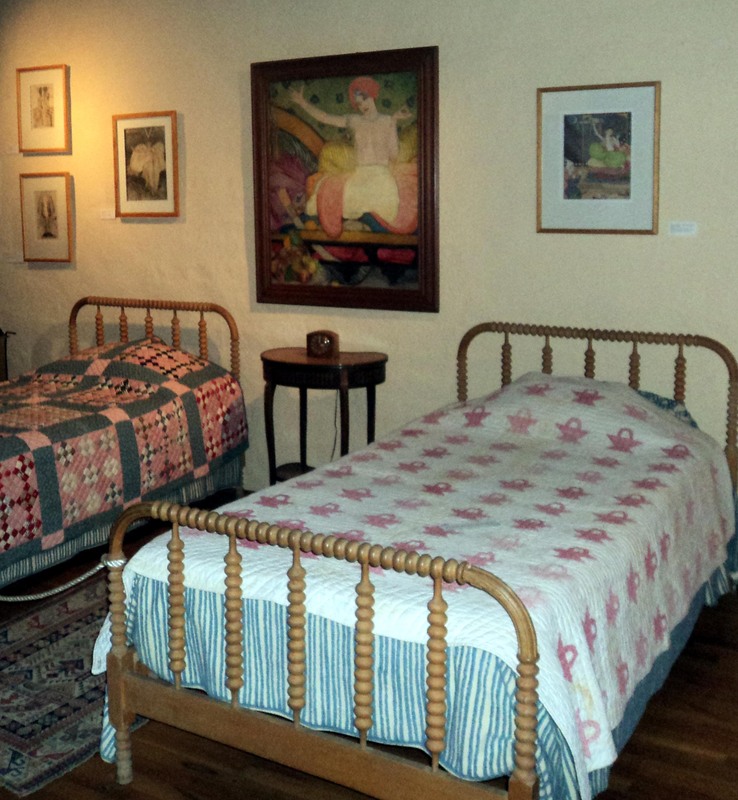 After much consternation and one prior unpleasant visit to Taos, Mary agreed to finally move to Taos with Helen in 1919, where they made a permanent home, with the condition Mary could visit New York when she wished. The house is filled with her favorite furnishings from Paris, including a beautiful chez lounge and armoire, and the walls are covered with art they both created. These two brilliantly talented artists brought their classical French training to the wilderness and captured its vibrant beauty and color for the world to admire. Mary�s lovely collection of children�s drawings can be seen around the walls in her bedroom, along with her award from Salon d�Automne. 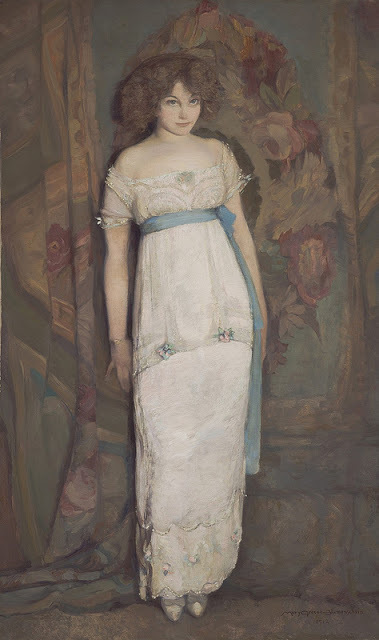 This award had only been given to two American women, Mary Blumenschein and Mary Cassatt. 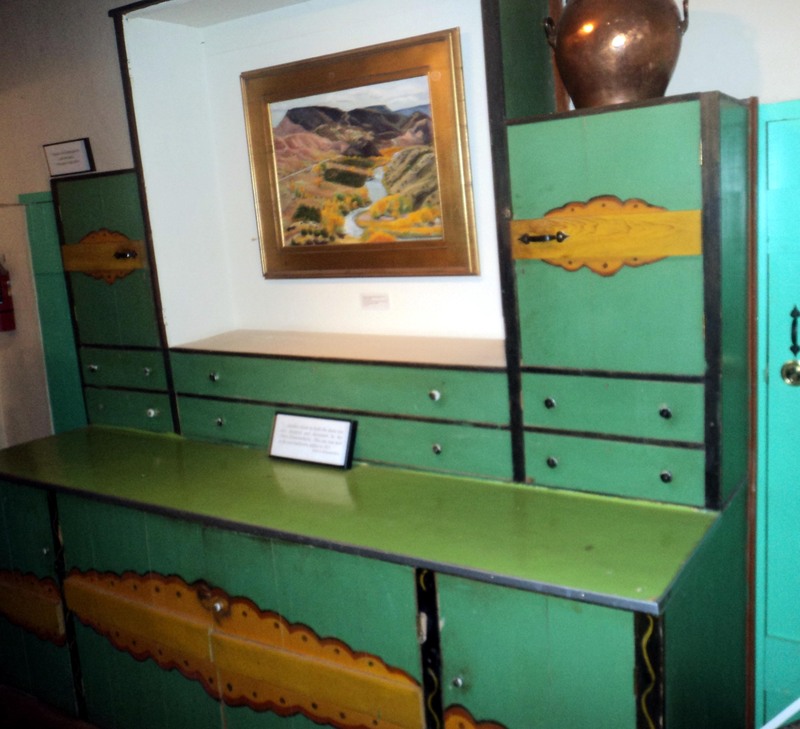 Mary also designed colorful cabinets on view in the green room area, where she spent much of her time in later life. Ernest Blumenschein�s work, including his renowned Ranchos Church oil on canvas hangs prominently in the living room along with nostalgic photos of his violin; he was a fine musician and a skillful fisherman. It is interesting to note that for the early years in their home they had no water or electricity, and bath water had to be brought to the house from wells and then heated for bathing. 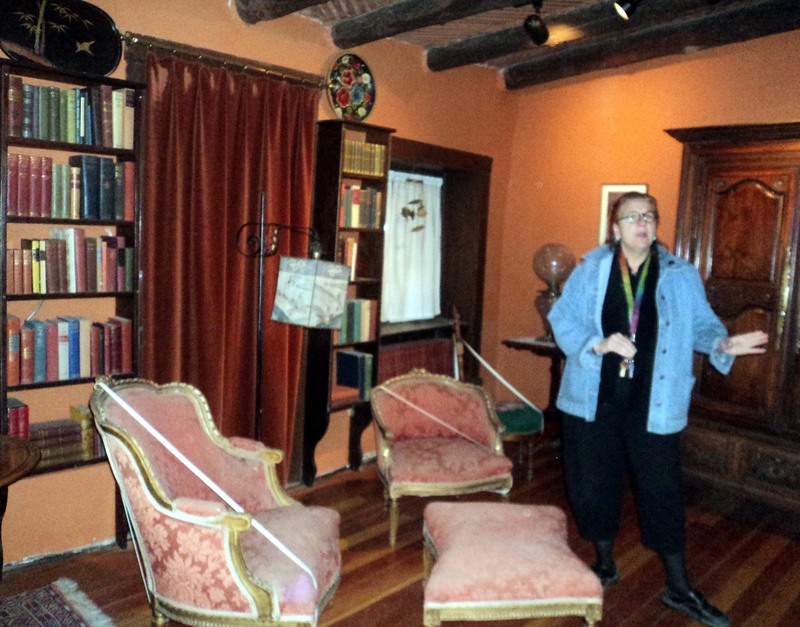 According to the curator Nancy Delpero the Blumenschein�s daughter Helen placed things in each room as she remembered them when her parents were alive. Helen was a fine artist in her own right and her work along with family photos are on display in what was her bedroom and studio. The artist studio remains a working studio where classes and seminars take place, and visitors may view the current work of participants in these Taos activities. 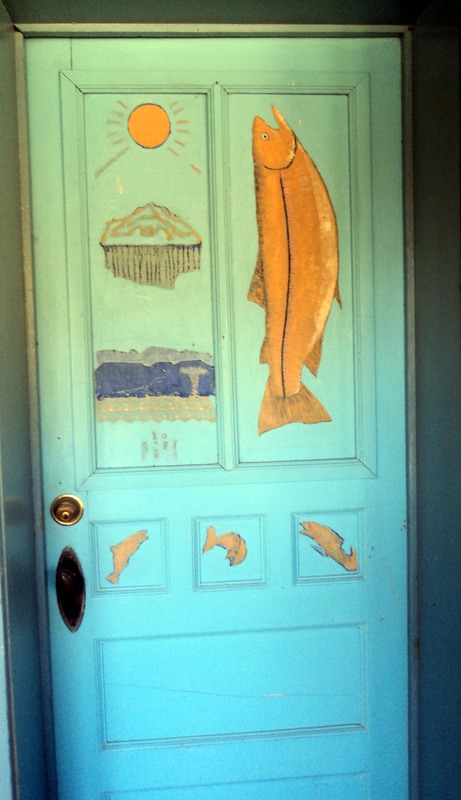 The front door of the art studio bears a painting of a fish done by Ernest as a subtle reminder to his friends that he had caught the biggest fish in the pond; his humor was well appreciated. 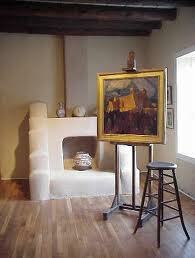 In July of 1915 Joseph Sharp, Blumenschein, Phillips and fellow artists Oscar E. Berninghaus, E. Irving Couse and W. Herbert �Buck� Dunton created the Taos Society of Artists to promote the artists work through annually organized, traveling exhibitions to several American Cities, which brought considerable attention the artists and Taos. Many artists came to Taos in the hope of participating in the Society, which grew to twenty-one members and was active until March 1927, at which point Taos had become a significant American art colony. Many of the paintings on exhibit by other members of the Taos Society of Artists were donated to the museum by members of the community as a tribute to the early years of the art colony. 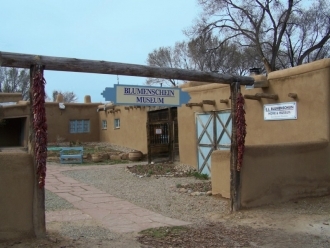 Many museums strive to give visitors a connection with the people who once lived in historic homes, but few succeed, however in this case Nancy Delpero and all those responsible for creating this touching and historic memorial to the life and art of the Taos Society of Artists leave visitors with an outstanding and unforgettable impression of life in the Indian Village of Taos for Mary and Ernest Blumenschein, but more importantly there is a genuine feeling of knowing and great admiration for the residents of this historic property that makes you proud and happy to have met them. For additional information or to make a donation please visit: www.taoshistoricmuseums.org. 300th birthday of Father Junipero Serra on November 24th many celebrations are being held in California and around the world, but most assuredly on the Island of Palma de Mallorca, Spain, which is birth place of Father Serra and the home of a beautiful museum run by The Friends of Father Juniper Serra, dedicated to his life. His parents are buried in the San Bernardino Petra Church, next to the museum and a few steps from the house where he lived with his parents until he left to become a �knight of the cross� and dedicated his life to spreading the word of God. I was so graced to visit Petra as a media guest of the former Consul General Bartolome Bestard of Mallorca, and several corporate dignitaries, including the area vice-president of Airberlin and Melia Hotels. The experience was an epiphany for me, and left me with a deep understanding and affection for this saintly and simple man who believed in �ever forward never back� and beyond human understanding or seeming possibility went to Mexico and then California to establish a collection of mission�s like a necklace of holy pearls along the California coast, including my own Santa Barbara Mission, which although he was not able to construct personally, he did plant the seed for it to be established, and it was completed following his death at the Mission in Carmel. A Film of Father Junipero Serra�s life is in process and can be viewed at www.battleofthecoreoftheworld.com. I implore you to view this beautiful film and to please donate what you can to insure its completion. I have been to all the sites in this film and it brought tears to my eyes to see it all again, and thank God for such a graceful opportunity I was given by the people in Petra who arranged my visit. Visit: www.battleofthecoreoftheworld.com and view the video on the page. Serra�s 71st International Convention will be held in the City of Palma de Mallorca located on the island of Mallorca in Spain. As in past years, the convention will commence with the Opening Mass in the local Cathedral to be celebrated by the new Bishop of Mallorca (the See is currently vacant) at 6:00 p.m. on Thursday 20 June 2013. Serra�s 71st International Convention will be held in the City of Palma de Mallorca located on the island of Mallorca in Spain. 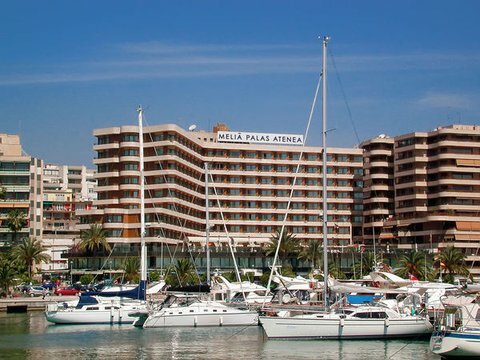 The Hotel Melia Palas Atenea will be an official hotel for the convention, visit: www.melia.com or www.serra.org. 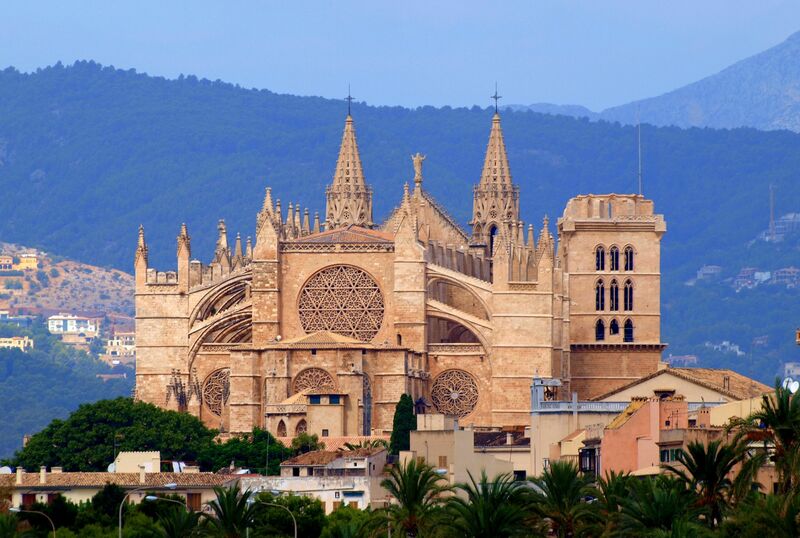 As in past years, the convention will commence with the Opening Mass in the local Cathedral to be celebrated by the new Bishop of Mallorca (the See is currently vacant) at 6:00 p.m. on Thursday 20 June 2013. The theme of the 2013 convention is: For woe to me if I do not preach the Gospel � the spiritual journey of Fray Junipero Serra. Stimulating and informative convention sessions will be held on Friday and, onSaturday after the delegates� meeting, there will be pilgrimage to the peaceful rural town of Petra, the birthplace of Blessed Junipero Serra. The convention will conclude with the Annual Banquet on Saturday 22 June 2013. 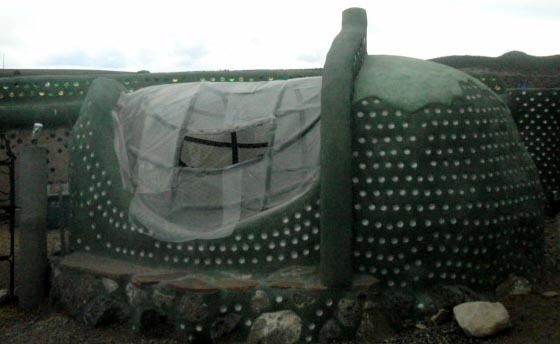 Visiting the Earthship Biostructures Visitor Center is something no one should miss during a visit to Taos, New Mexico. The Earthship subdivision is an amazing community of the future, in process now. It is the ultimate eco experience where residents reside on a 650 acre development on a rolling mesa with breathtaking views of the Sangre de Cristo Mountains. The community includes 347 acres of commonly owned park land. Each home is built with natural recycled material and includes thermal solar healing and cooling; water harvesting, contained sewage treatments, solar and wind electricity and food production capabilities. They host three day, hands-on Earthship seminars at their headquarters, as well as workshops in cities around the country. They are designed to teach and empower people to live self sufficiently. 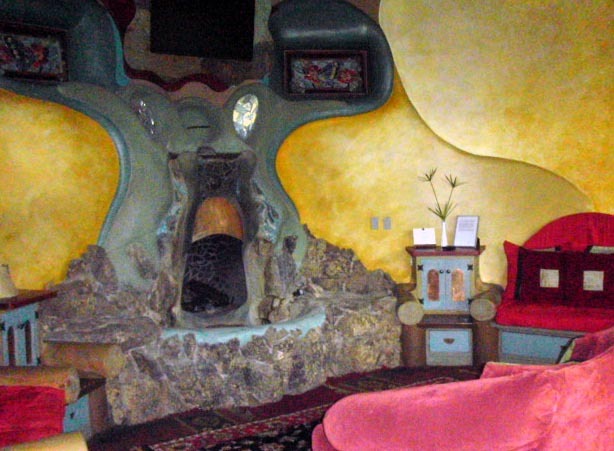 The typical three bedroom, 2 bath Earthship sells for $369,000 with maximum utility bills of $100 per year. 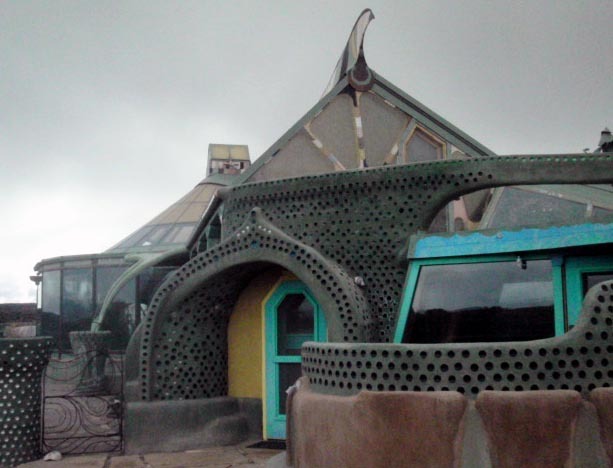 Earthships are as individual as the people who build them, and are all uniquely different, inside and outside. Some have fireplaces surrounded by waterfalls, and keep chickens in coops for fresh eggs to enjoy each day. 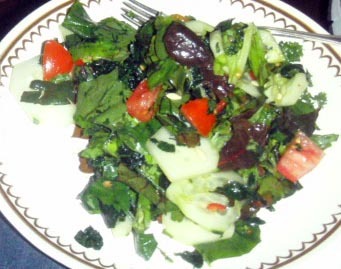 Having the ability to grow organic food for the family within the structure is an amazing opportunity, and while visiting we enjoyed a delicious garden salad made with these home grown greens and tomatoes; delicious! Earthship Biostructures Visitor Center is located 1.5 miles past the Rio Grande Gorge Bridge on US Highway 64.It is open 7 days a week from 10-4; Summer hours 906. Admission is $7 and children under 12 are free. 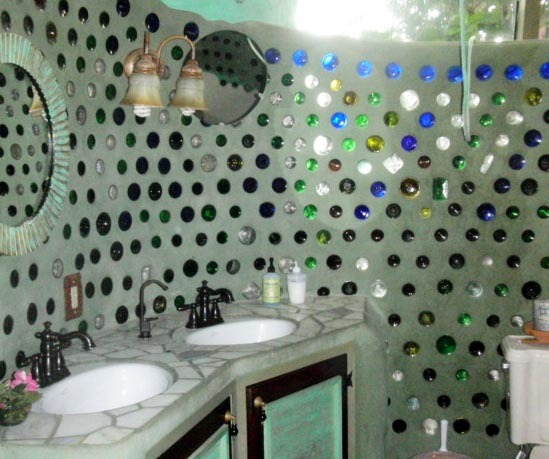 For information visit www.earthship.com or call 1-800-841-9249. 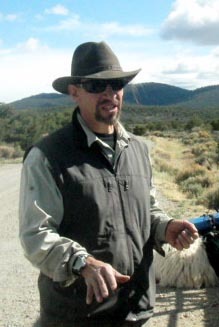 Stuart Wilde has become rather renowned, not only for his dedication to saving abandoned Llamas in the Taos area, but also for his remarkable expertise and knowledge of the New Mexico wilderness, especially the Rio Grande Gorge locale, where he has become a trained and respected authority on plants, ecology, animal life and the overall history of the New Mexico wilderness area. As the director and head guide for Wild Earth Llama Adventures and Taos Snowshoe Adventures Stuart runs his Llama rescue ranch with his wife Leah and 14 year old son Sacha. Wilde offers a variety of trips throughout the year to meet the individual needs and levels of visitors to the area who wish to experience the adventure of Llama trekking or Snowshoe activities in winter. Llama trekking visitors have the opportunity to lead these lovable high- mountain camels, who carry all their supplies for them, to unique destinations with breathtaking views where they enjoy a healthy lunch and trek to the finish point. These strange but cute little camel like animals drink very little water, and eat vegetation. They are gentle critters that make pleasant companions for visitors savoring a journey to experience the unforgettable sights and blissful silence of the wilderness. 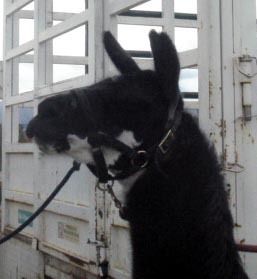 If you are yearning to become one with the beauty of the New Mexico wilderness and perhaps learn to love a llama check out one of Stuarts upcoming adventure trips at www.LlamaAdventures.com or www.SnowShoeTaos.com. Chef George Bartel will be presenting a deliciously unique three-course dinner in his new restaurant MOSAIC FINE DINING, located in the historic La Fonda de Taos. A portion of every ticket will benefit the Millicent Rogers Museum. To purchase tickets call the Museum Store 575.758.4316. 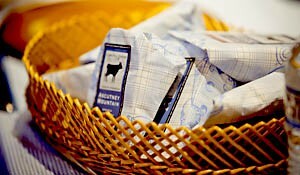 Or click here to purchase on-line.